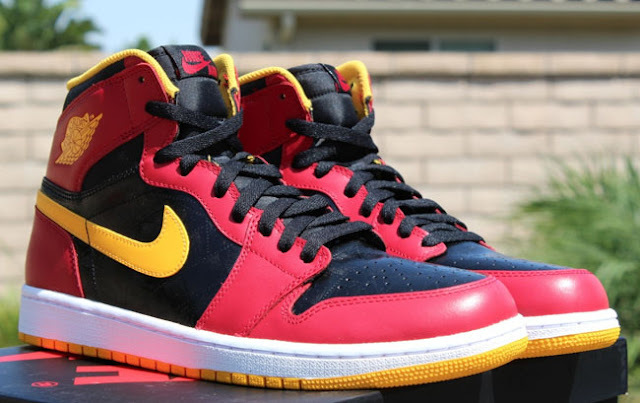 Tru School Sports: Tru School Of Kicks: Air Jordan 1 "Highlight Film"
Tru School Of Kicks: Air Jordan 1 "Highlight Film"
The the Nike Air Jordan 1 silhouette adds yet another classic colorway to its storied history with the throwback Atlanta Hawks colors of the 80’s and 90’s. Reminiscent of Spud Webb and Dominique Wilkins these shoes are for lack of a better term “fresh”. 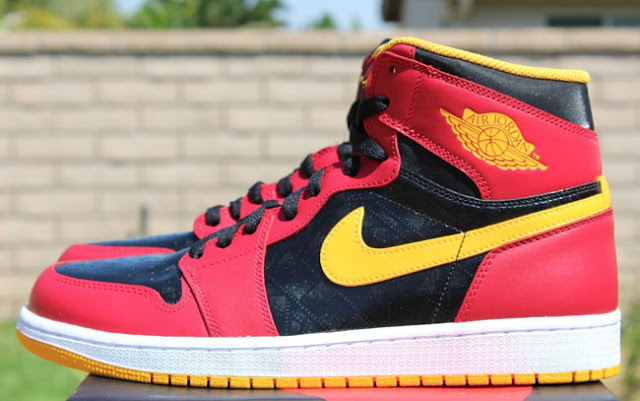 Color way is red, black, white and Yellow. The Air Jordan 1 is a timeless shoe and almost any color you throw on it works, this is a testament to that. If you look closely at the black part of the shoe you will notice a highlight reel print on the sneaker. Great subtle move and tribute to “The Human Highlight Film” Dominique Wilkins. Shoe is set for a September 7th release threw Jordan Brand and is currently available on Ebay. Price set at 140$.